1,2,3,4,5 is all that you want from me, torching me is not normal. 1,2,3 no 4. 4?? Is this 4 yes 4, no. “Please I don’t want to do this! !”, please “I don’t want to do it”. Ok look at it again is it 4 or 5.it is 4 !! 1,2,3,4,5!!! The recent video of the little girl learning 1,2,3,4,5 is disturbing and demonstrates not only a monstrous technique of imparting education but also highlights a sad reality of the our ideology of teaching children. As many times I come across this video I can’t stop myself learning about the reactions that are posted and see what the world out there has to say. Our individual voices make the society and our personal beliefs will shape the belief structure of our society. And each time I come across couple of people saying that it is “OK or normal to be strict with children while teaching” is shocking. I feel it is a shame that a number of people agree with the trauma the child goes through. I shed a little tear when I see the little girl suffering only to learn lousy 5 numbers, but I also wonder how many more kids go through presumably normal way of learning. Dear parents who think it is OK or normal to mentally and physically abuse children for the sake of curriculum you need to wake up before you completely destroy the confidence and the urge in your child to learn. 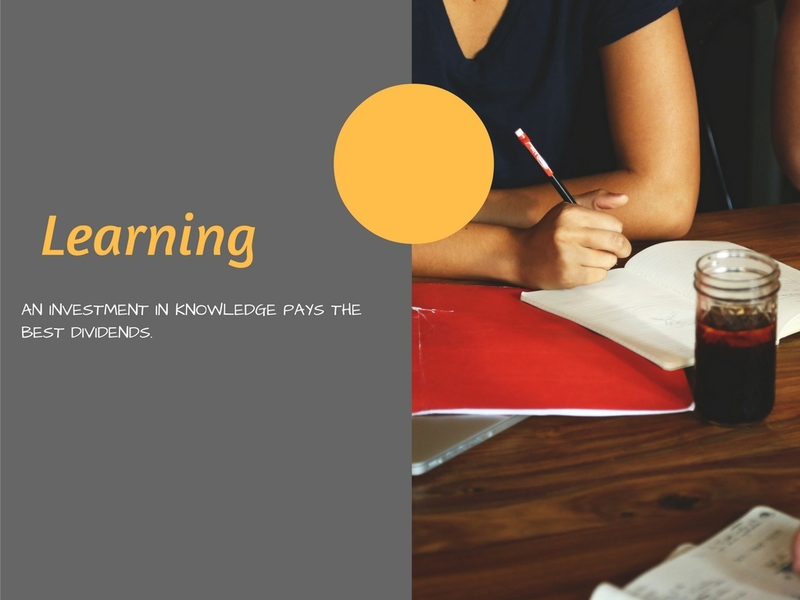 Research has shown of all the bookish knowledge that an adult uses to secures a job, out of that only 10% of the theories that they learn at school or college are retained and 90% of your success depends on the person’s ability to communicate interact with the world. There is a huge impact of the kind of positive or negative experiences they had in their lives. And if you are creating strict abusive learning environment which will negatively impact the learning experience, then don’t be surprised that your child hates the thought of homework hardly remember what they learnt last. A study suggest, for effective learning the educator must inevitably be mindful that the process of teaching must be joyful and the emotions the child experiences will determine how much the child can retain. As being happy is key requirement for human brain to learn and store information. So if you are saying that the child throws tantrums and hates to sit down and study, then definitely the problem is the person who is teaching because that person has failed to generate happiness in the process of learning and in this case and similar cases the teacher/ mother through their rotten methods of teaching have traumatized the child and the emotion that is linked with learning 1,2,3,4,5 is pain and suffering in the child minds. You can’t conceal the mistakes you made through your wrongful methods of teaching by saying that the “child throws tantrums” or saying ” it for the betterment of the child”, to be beaten and tortured. I urge such mothers and teachers to change their methods before it is too late for the child. Understand that learning encompass a vast spectrum of abilities to interact with the world and education does not only means school work!! Bhahubali – The epic saga of the Indian way of life. 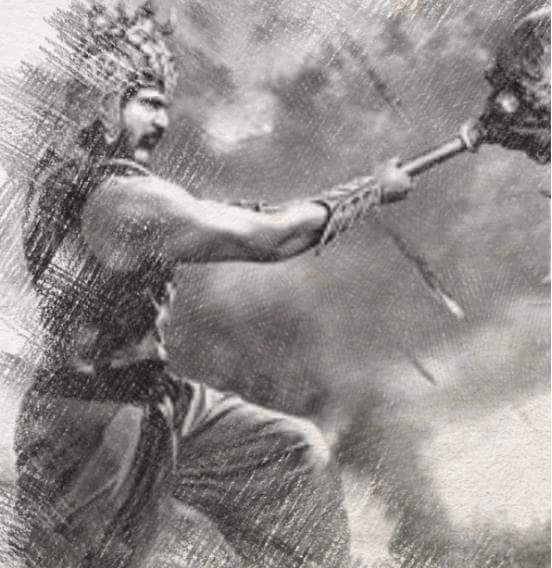 The most awaited story of the year Bhahubali has reached the streets of our towns, cities and villages. People of all ages has appraised and completely enjoyed watching the story of “Bhahubali -The most powerful invincible destroyer of evil”. The story depicts Bhahubali’s endevours as DharmaYudha, and portrays his magnificent ways of establishing Dharma in the society for the betterment of the common mortals. The story of Bhahubali is yet again the retelling of the epics of Ramayan, Mahabratha. Where a righteous King tries to destroy the evil and is the source of happiness and prosperity for his subjects. Like every other Indian, when I watched the movie I couldn’t stop myself of being mesmerised and experiencing overwhelming joy watching victory to Bahubali. The purpose of the story seems severe that the society celebrates his victory and a belief is spread across the nation that misery, poverty, inequality has come to an end. Let’s understand how Bhahubali win the battle with the corrupt ruler. Bhahubali is supported by the common man. Thousand of young lads slay their lives, participating in the war as soldiers, the citizens sacrifice their comforts and unite to take part in the war. Every one in the country forgo their individual needs and stand for the nation. So many individual do this only in the hope of better life after the war is won. Citizens irrespective of their go to the battlefield or stay back home inevitably lay a huge faith in the might and power of Bahubali, collectively praying for him and thus making him enormously powerful and strong. They all feel the saviour has come, to end injustice. And therefore it is inevitable that Bahubali will rise, the little timid boy form a far off land will have all the Bal. This kind of a Dharma Yudha was taken place in the epic of Ramayan, a similar events took place in Mahabharata. Were millions of common people were butchered and they lay faith in one man to change their destiny. In a belief that after the vijay of Dharma, there will be happiness in the society. Misery will end, poverty and illiteracy will end. The lowest of the people in the society, believed to be able to enjoy two square meals. The poorest had faith that they will be able to raise their standards of living. However as we, go through the pages of the history this has never happened. After having won the Dharma Yudha each time in the times of Rama, Krishan and many other Bhahubalis. Even today a large number off the population is still living in filth! Why have we lost it? why poverty and illiteracy still prevails in the society? I wish to ask the Bahubali’s of the Indian history why haven’t we seen a sustainable change in the standard of living of the people? why are we still struggling as the third world country? Or most of all why does luck favour the evil in the first? How do a handful of individuals get away with their corrupt ways of life and become so powerful? Well the answer, to most of these questions lie in these epic themselves. The reasons behind lack of Dharma lies very much in these stories itself. The stories of Rama, Krishna and Bahubali is not about establishing Dharma, which will ensure prosperity in the society by empowering every citizen. But the story is about making “ONE human being” the “God” the “Devta” immensely knowledgeable, powerful, the Dukharata, Palankarta. Who is capable of destroying misery and providing happens to all. All the layman and women in the society from birth go through a psychological process of considering themselves worthless and dependent on the Dukharata for their happiness and removal of misery. The stories just like those of Bhahubali’s teach the common citizen that the cause of misery is someone else mightier, powerful and those problems can be taken care only be taken away by someone else equally powerful and mightier. The solution to their problems lies with someone else and common mortals can not do anything about it. The people are made to believe someone else will be their Dukhharta. People start to assume themselves as useless entities, unless they are guided by a supreme man, the Devata. The Indian population has never been stories of common man being victorious in his life. Not many of the historical stories talks about individual capabilities. We are never been told that each one of us is equally capable, just like the Devata man to achieve high standards in life. We become are what stories we have learnt in our lifetimes. If we were told stories of laying same amount of faith and belief in our own capabilities rather than anyone else. We would have had a different history all together. The citizen in the movie Bhahubali choose to suffer, yes “choose” to suffer for 25 years waiting for Bhahubali to return and help them erode their misery and suffering and save them. To take away all their pain, given by a evil King. This event really makes me wonder, a nation of few hundred thousand is waiting to seek help for ONE PERSON. Can not they collectively throw away a handful of corrupt evil Royal’s for their wrong doings? Instead they choose to wait, they accepted to be exploited at the hands of Bhalladev. Only If they had known about strength of their faith, and belief and placed it in themselves instead in the might of Bhahubali. Then, even ages before Bhahubali must have returned, the country would had got rid of the corrupt King, and might have been happier. Instead they waited for the Dukharta, Devta, expecting someone out there to save them from the misery. The belief that kept these people bounded, and eventually weekend the whole society. The common forgot that these Bhahubalis and Bhalladevs claimed their powers by making everyone else assume inferior and powerless. The powerful hid their mortality and weakness behind the golden doors of their palaces. Built by by the common man toiling all day long under the sun, funded by the taxes paid by the commons working in fields, roads or in offices. And namelessly dying in the battles for power for the the powerful, not Dharma. It is time we start clearly understanding the roles of a leader, and be aware if a leader is being elevated to the standards of God!! Yes their is a super power who has created all of the universe. But it is not the almighty’s job to keep us happy and fulfilled in our day to day lives. The almighty has blessed each individual with all the same five sense as he would bless a Devta, in the same mortal body. And super powerful brain to think to rational and to question. If we are going to live in the false idea waiting for the new age Bhahubali/ leaders to return and help and save the nation. Or waiting for Mahatams to take the nation to prosperity, then yet again we not getting any where. And yet again the nation is waiting to be looted. Because many Bhalladev’s are going to take advantage of our belief’s and fool us. It is time individuals take action for their own pain. If their is an issue in your neighbourhood, take action, try to fix it within the neighbourhood. If there is someone corrupt and enjoying false benefits its our own duty to stop these people. Don’t wait and loose the battle, instead win it at the root. It is not just Bhahubali but each one of us capable of throwing away Bhallade’s only if we laid confidence and faith in ourselves and choose to take actions early on. Rather than waiting for some Dukharta to emerge from ashes.